Elly MacKay makes magical, atmospheric worlds – enchanting images that tell stories, and portray quiet moments in nature and childhood. Creating tiny drawings, she positions them in layers, skillfully lights and photographs them, producing scenes with captivating depth and emotion. 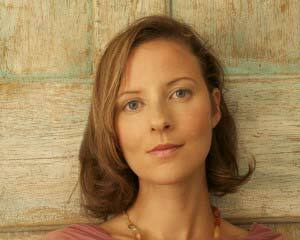 Elly lives in Owen Sound, Ontario with her husband Simon and her children Lily and Koen. I am excited to feature Elly’s work… and a giveaway! Read on to learn more about Elly and her beautiful creations, and then enter to win your own copy of her magical new book, If You Hold a Seed. Your first book as author and illustrator, “If You Hold a Seed,” has just been published… congratulations! What was the inspiration for the book? Thank you Kate! I grew up in an old church in the woods. I liked collecting seeds when I went on walks with my Dad. He would talk about the potential of a tiny seed and point out some of his favourite old trees. I suppose the story began there. What has the journey been like that led to this accomplishment? Well, it was an interesting year. I was pregnant with my son when I wrote the story and signed the contract with Running Press. Then, I did the illustrations for the book during my son’s nap times. It is all quite a blur now. I am always trying to imagine how my 4 year old daughter and 1 year old son see the world. 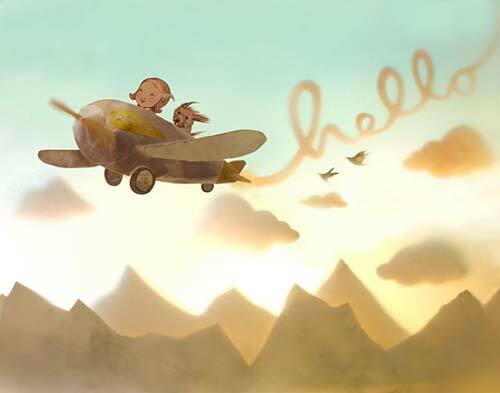 Childhood is a time when the world seems quite magical… stories and dreams blend with reality. It is fun seeing the kids walking through the same forests and playing on the same beaches… it brings back my own memories. I love the landscape here and do my best thinking on walks (and in the bath once the kids are asleep). What do you think have been the main influencers of your style? I love Victorian toys and optical inventions. I was introduced to them on a trip to meet members of The Movable Book Society as a teen. 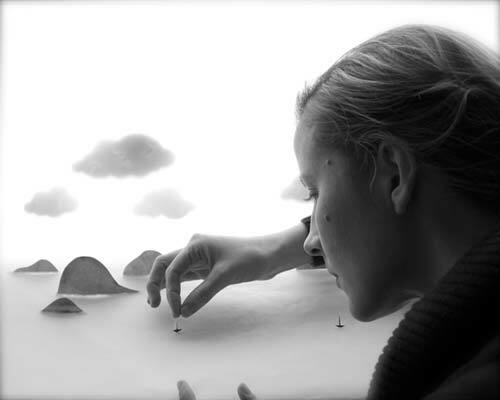 I started playing with zoetropes, tunnel books, and creating three dimensional scenes with moving cams and motors. What I am doing now, is really the same sort of thing with the addition of photography. I also really love the classic illustrators, Sir John Tenniel, E. H. Shepard, Beatrix Potter, and so many others. Your process is so interesting (read more about it here), is there a particular part of it that you enjoy or look forward to the most? Oh yes… once I have all of the characters inked up and the landscape layers ready I love playing with the lighting and photography, trying to find the right atmosphere and intimacy for the scene. Very tiny. Really more of a walk in closet. With luck we will be moving soon and I will have a bit more space. My husband has made me a second theater and an animation table that I am hoping to find room for. What other creative outlets do you have? I am always looking for ways of having fun making things. I am not a great driver so my husband does the driving on long trips and I take blurry shots out of the window. I am getting a knack for it. My father is a potter so we sometimes make things out at his place… in general there is always something being made. The kitchen table is rarely clear enough for us to just sit down and have dinner. What do you see yourself doing in five years? In six months? In the next ten minutes? In five years I hope I will have a shelf with several books I’ve illustrated, happy children, some fruit trees, a neat tree fort for the kids and continue to run my Etsy shop, Theater Clouds. It has given me a really wonderful way of making a living. In six months I would like to have a new studio, and feel I have done a really wonderful job on the books I am working on. I am working on my own story for Running Press called Shadow Chasers and a book for HMH called Fall Leaves. In the next ten minutes I am hoping to have some prospective home buyers through our house. Fingers crossed. Mother, Dreamer, Maker, Traveller (though it has been too long), Friend. Thank you, Elly, for this backstage tour of your Theater Clouds! You can see more of Elly’s work on her web site, and purchase prints from her Etsy shop. …and now for a giveaway! 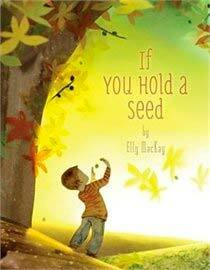 One lucky winner will receive a copy of Elly’s book, If You Hold a Seed. This story will delight any young child in your life, but you just might want to keep it yourself for the charming illustrations! The winner will be chosen by random draw on March 15. Update: The winner is Gael. Congratulations! All images courtesy of Elly MacKay and used with permission. I also liked Pennello Lane on facebook. I’m sharing this article with my friend. 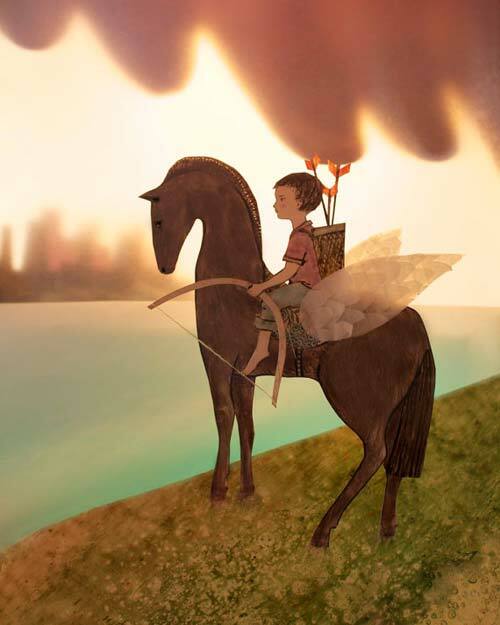 I find Elly MacKay’s work beautiful and inspiring and have bought prints for myself and for loved ones. I would love the book for myself, but also to read to my little elf when he is old enough (he is 10 months old at the moment)! P.S. i liked your facebook page! I work with special needs elementary school children. They love to look at beautiful pictures when I read to them. They would love your book! I also liked your Facebook page. Ooooh YES please… I have always loved Elly’s works.. and would adore having this book for our lil 3 yr old daughter who’s imagination suits this masterpiece! …annnd, I liked you on facebook! I’d love to give “If You Hold a Seed” to my French godson. I used to read to him in English while sitting on the lower branches of a big birch tree in his family’s backyard. Now he has a tree house and is old enough to read the book on his own! PS- I’m going to “like” your Facebook page as soon as I send this comment! I would keep it for my 3 boys. I have a middle schooler, an elementary schooler and a preschooler and they all love to read. Books are well loved in our house! Her art is just gorgeous, I’d want to one to keep for the story and one to frame the pictures on the wall! Would make such cute decor for a kid’s room. I’ve already liked your Facebook page. Thank you Kate for the post and introducing me to Elly`s work. I would like to have her book for my 12 year old grandson. He has Autism and although he cannot read he loves things associated with outside and with her beautifully drawn illustrations i think he would really enjoy it. I have already liked you on Facebook. I would love to win the book for my daughter. We love Elly’s art. I love Elly’s work and have one of her prints hanging in my living room. I’d love to win her book for my four-year-old son, Liam, who is a real dreamer with a huge imagination. Oh this is just BEAUTIFUL and magical and heavenly… What a gifted lady she is. That kind of talent amazes me… Visiting from SITS!!! 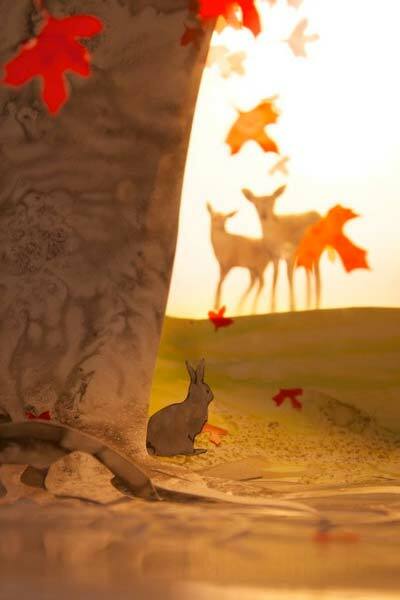 I love the whimsical, magical worlds of Elly Mackay! Thanks for a great giveaway. 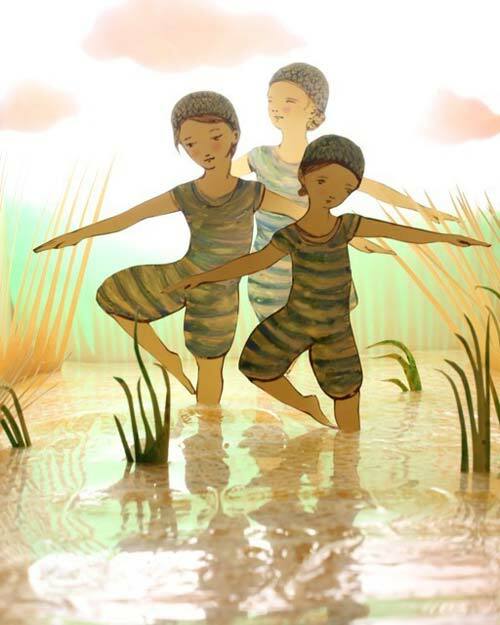 I’d love to win the book for my son and my daughter and of course for me as the Theater Clouds are such an inspiration.